Whether it is for survival, camping, or anything else that requires being in the great outdoors, a DIY wood burning stove can come in handy. 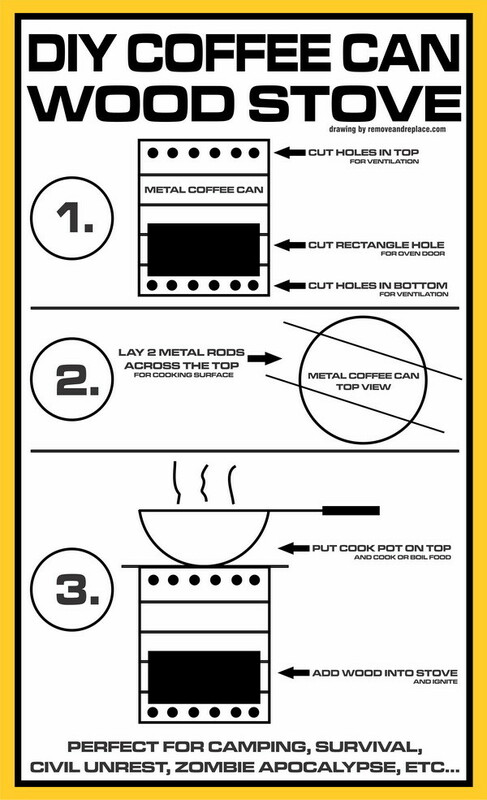 With simple tools like a screwdriver and tin cutters, you can alter a metal coffee can to become a wood stove. There are literally thousands of websites that tell you how to make a DIY wood stove (aka: Hobo Stove) but this is by far the easiest. 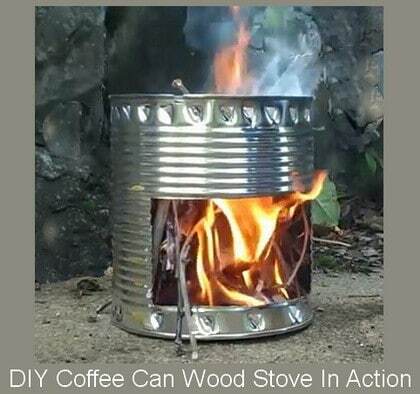 For this wood stove you only need one large metal (tin) coffee can and 2 metal rods to lay on top of the coffee can. That is it, no need for empty soup or paint cans whatsoever. We have made a large infographic with 3 steps on it to help you quickly make your own wood stove fast. If you think this is too much work, buy one online already made. The metal utensil rack is available online for less than $10 dollars. 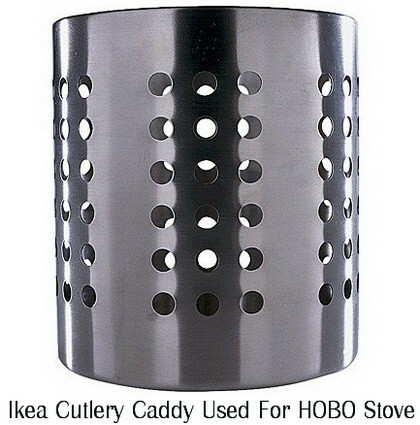 This is the Cutlery Caddy from Ikea that makes the Ikea Survival Hobo Stove. Here Is The DIY Coffee Can Wood Stove In Action. This is the critical piece needed to make an Ikea Hobo Stove. If you have an easier way to make a do-it-yourself wood stove from common materials, please let us know by adding your comment below.